What did people do to heal themselves and their family members from disease, prior to the age of modern medicine and pharmaceuticals? Probably the first thing that comes to mind is the use of healing herbs. Chinese and ayurvedic practices may also come to mind. But in addition to these, there are two nearly forgotten remedies that can be used to treat, or at least reduce the symptoms of, almost any illness. We may not always have access to OTC and prescription drugs. Drought and other factors may make herbal preparations difficult to obtain. But if every home has access to these two simple remedies, we will be ahead of the game. All that is needed is the equipment and clean water. In our more recent past, enemas were often administered at the first sign of disease, especially fever, to remove the body of ‘evil agents,’ which today we call toxins. Today, it is seldom used, I suppose because our culture is uncomfortable discussing the bowel. We would rather pop a pill (without regard to its toxic nature), than cleanse our bowel. However, as it becomes more apparent that much disease begins in the bowel, medical practitioners are becoming more open to the use of the enema. And, of course, many surgeries require a thorough bowel cleaning via the Fleet enema. What is a rectal enema? The most basic of enemas is simply a water flush of the lower bowel (the colon, or large intestine). Healing herbs, cleansing salts, probiotics, teas or coffee can be added. Most typically, 1 – 8 cups of fluid is allowed to slowly enter the bowel. Abdominal massage can be used to relax cramps and allow the water to progress farther up the colon. This fluid may then be retained for several minutes, or expelled immediately, depending on the reason for doing the enema. All you need are an enema bag (many hot water bottles can be equipped to deliver an enema), a delivery tube, a rectal tip, and clean water (filtered is best). (See photo, above right, from Amazon). Cleansing: used to gently flush the colon, and is retained for only a few minutes before evacuating. Lemon juice, apple cider vinegar, catnip and other herbal teas can be added to the warm water flush for specific effects. Also baking soda, salt, or epsom salt may be added. Retention: retained for a longer period (15 minutes to hours). For example, the Gerson coffee enema for liver detox and cancer therapy, or a probiotic retention enema. For more information on how to give an enema, see an excellent paper by Catherine Cavanaugh, RN: How To Give Yourself An Enema (5), or our own paper: The EssentiaList: Home Enema (8). Administer substances into the blood stream (by absorption through the intestinal wall), whenever it is desirable to avoid digestion (breakdown) of the substances. These include antiemetics and anti-angiogenic agents. Topical administration of medications, such as for treatment of inflammatory bowel disease. Diarrhea: It may sound counter-intuitive to do an enema when you are having diarrhea, but consider this: diarrhea is the body’s attempt to use fluids to flush toxins and microbes from the bowel. Unfortunately, this can lead to dehydration from loss of too much water. Aiding the body by giving a warm-water enema speeds up the process, and at the same time, re-hydrates the body. Constipation: Perhaps the most common use of the enema is for constipation, and a Castile soap enema is a good way to clean you out and give relief. A warm-water enema is also useful. Spring cleaning: Just as you give your home a good spring cleaning, it’s also a good idea to give your colon a good spring cleaning. I like to do a routine salt-soda enema twice a year, for this purpose. It has the added benefit of stimulating the lymph system to clean itself. Parasites: An enema containing garlic is a good choice if you have parasites (pathogenic bacteria, candida, pinworms, etc.) in your large intestine. It’s best to mix some salt into the enema fluids, to help the mucosa shed toxins, and to reduce transfer of water into and out of the cells. The garlic-Epsom salt enema is a good example. Detox: When serious illness or parasites are present, the system may be overwhelmed by toxins, causing distress. The liver works overtime to detoxify these substances, and can become tired and weak. A good colon cleanse can help the liver rid itself of the toxic substances. One of the best cleanses for this purpose is the coffee enema, which acts to stimulate bile secretion into the small intestine; bile is essential for detox. A coffee enema is also an excellent general colon cleanse for the lower colon. (NOTE: never use more than 1 quart of coffee for this enema). Follow-up: After giving yourself a cleansing or coffee enema, it’s always good practice to follow with a probiotic retention enema, to restore probiotics removed by the enema. Restoring probiotics improves your immune system and helps detox. To be most effective, take probiotics both orally and in an enema. Plain, unsweetened yogurt or kefir are excellent. Also capsules of live probiotics (dump capsule content into the enema water), but don’t use enteric-coated probiotics as they will be ineffective. See The EssentiaList: Home Enema (8) for specific enema instructions. Rectal enemas can be particularly addicting because they stimulate the release of serotonin (a feel-good neurotransmitter) in the gut. Enemas should never be taken more than 7 consecutive days. I personally limit myself to 3 to 5 days of enema with 2 – 4 days of rest before starting another cycle. In the U.S., sinus problems is the #1 reason people see a doctor, due in part to increasing pollution and chemicals in our environment, and also to poor dietary choices. 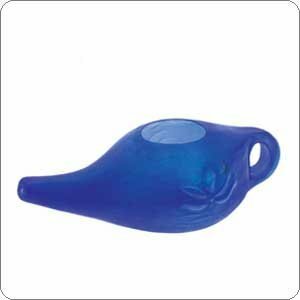 The use of the Neti pot comes to us from ancient India and the practice of ayurvedic medicine. Neti is a very effective method to provide relief from allergies, sinus infections, common colds and even asthma. Neti helps in relieving headaches and facilitates in maintaining youthfulness. Ever since this topic appeared on Oprah with Dr. Oz, even mainstream medical practitioners recommend its use. You can purchase a Neti pot at Swan Valley Herbs in Bigfork. Caution: always use purified water in the Neti pot (distilled or filtered water is best). Never use tap water. To purify water: Boil water for 1 minute (or 3 minutes if more than 6500 feet above sea level), then allow to cool. Bleach can also be used in a pinch, but after adding the bleach, let the water sit for at least 10 minutes to allow the bleach to evaporate and decompose, before using in the Neti pot. It involves a warm salt-water solution that is poured through one nostil and exits through the other nostril. Using salt in the water eases the discomfort and burning sensation from plain water (such as you experience when swimming or diving). Use 1/4 – 1/2 tsp salt (not iodized) for 1 nets-pot full of water; still to dissolve the salt. See Holistic Healing: How to Use a Neti Pot (6). See also videos (7): The Official Neti Pot Demo Video (2 min) or Neti Pot for Nasal Irrigation (5 min). herb powders or tinctures can also be added to the pot. For example goldenseal or Oregon grape root powders for treating a sinus infection. 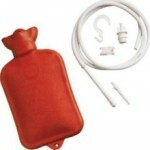 This entry was posted on Monday, March 7th, 2011 at 10:51 am and is filed under Remedies. You can follow any responses to this entry through the RSS 2.0 feed. Both comments and pings are currently closed.